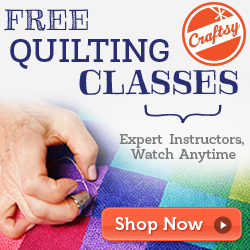 Have you checked out Craftsy yet? It's a fabulous resource for both free and paid patterns, tutorials and classes. As well as supplies at great prices. The classes cover a huge range of topics from cake decorating to quilting. That's cool. It's amazing what you can learn online these days.